Consisting of education researchers, scientists, curriculum development specialists, software developers, and experienced K-12 educators, the OCEP staff possess diverse knowledge, experience, and skills. This allows us to develop and sustain creative programs and initiatives, engage diverse stakeholders, build and sustain partnerships, and bridge the research, practice, and service missions of the university to benefit the community. 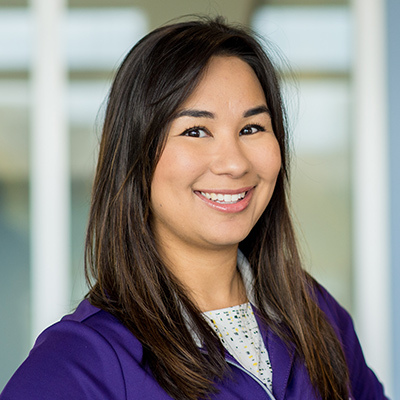 Nichole (PhD98) returns home to Northwestern after breaking new ground at DePaul University. 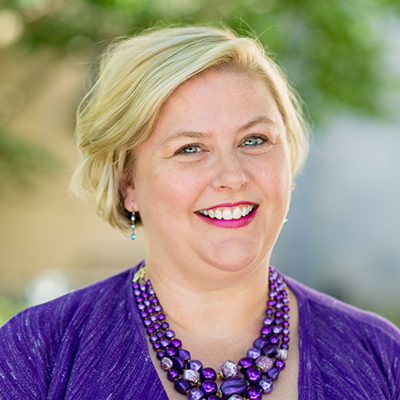 Nichole, whose research focuses on creating supportive learning spaces, both on and offline, was one of the first graduates of SESP's Learning Sciences PhD program. Two decades later, she's back at Northwestern to spearhead collaborations through OCEP. 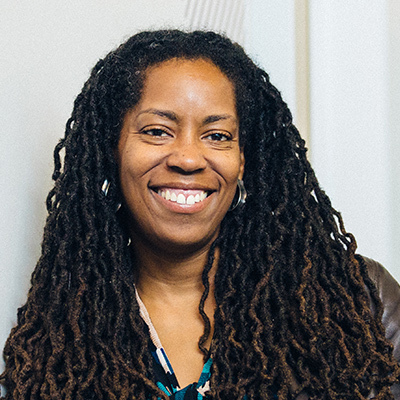 Pinkard, founder of the Digital Youth Network (DYN), received the 2014 Northwestern University Alumni Association Alumni Merit Award. In 2016, she delivered the keynote speech during the 2016 graduate convocation ceremony. 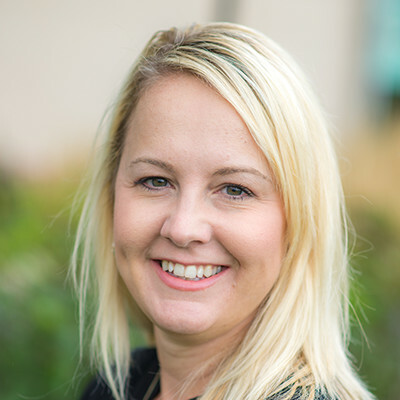 Amy joined OCEP in December of 2011, bringing 10 years of experience with non-profits both nationally and internationally to the team. Amy's program areas of expertise include education, public health, community development, and the environment. She has extensive experience in research and organizational development and strategy; program development, management, and evaluation; building partnerships between community groups, non-profits, government agencies, public schools, universities, foundations, and corporations; and grant development and fundraising. Amy is a founding member of the National Alliance for Broader Impacts (NABI), which is designed to create a community of practice that fosters the development of sustainable and scalable broader impacts activity. Amy has a Ph.D. in geography from West Virginia University. Aneta has been affiliated with OCEP's Digital Youth Network (DYN) since 2015. She has taken part in projects centered around DYN's Digital Youth Divas program, conducting research and designing for new implementations as an undergraduate research assistant. Beginning September 2017, Aneta began working as a Learning Experiences Coordinator for DYN, designing interfaces and other assets that help increase youth engagement in online and face to face learning environments and showcase information about the programs for public viewing. 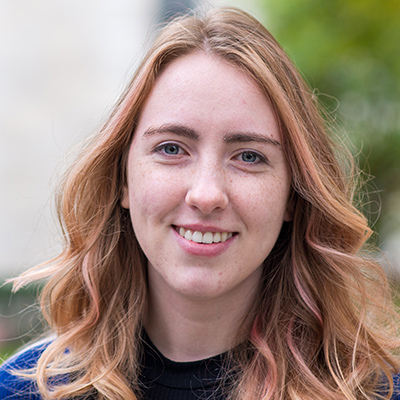 Natalie joined the OCEP team in September 2018. She is working with the Baxter Center for Science Education to develop OCEP’s partnership with Baxter International Inc. and Round Lake Area Schools. Natalie is excited to share her passion for STEM at the Baxter Center’s newest location, Round Lake High School, and Northwestern. In working with OCEP, Natalie also hopes to promote equity in STEM education by supporting teacher professional development, providing authentic STEM experiences for students, and developing community partnerships in Lake County. She earned a Bachelor of Science in Neurobiology and a certificate in Global Health from the University of Wisconsin-Madison. Celishia has been with OCEP's Project Excite since November 2013 as the coordinator and advisor of the middle school program. Project Excite provides supplemental educational opportunities for middle students who are from underrepresented backgrounds. Celishia works with instructors to develop Saturday and summer courses that challenge students and enhance skills that they will need in high school and beyond. Emily joined the OCEP team in February 2016. Emily supports all of the programs and partnerships at OCEP as well as the operations of the office. 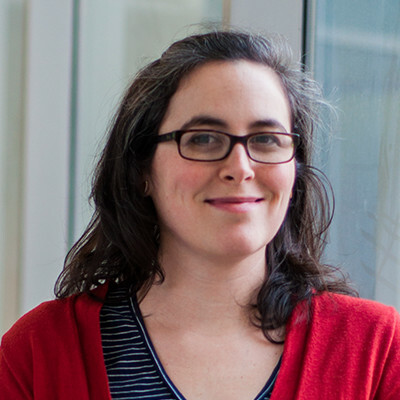 Prior to working at OCEP, Emily taught elementary school in Chicago Public Schools. Emily holds teaching licenses in Illinois and Minnesota. She earned a Bachelor of Science in the Foundations of Elementary Education degree in 2012 and a Masters of Education in 2013, both from the University of Minnesota-Twin Cities. Tre Everette is Architect and Senior Developer at OCEP's Digital Youth Network. Tre primarily directs the technical architecture of the learning platform L3 and its ecosystem of connected learning products such as Chicago City of Learning. He bridges the worlds of researchers, educators, and technologists in order to build blended learning tools that help educators and learners connect with valuable resources inside and outside of the typical educational environment. 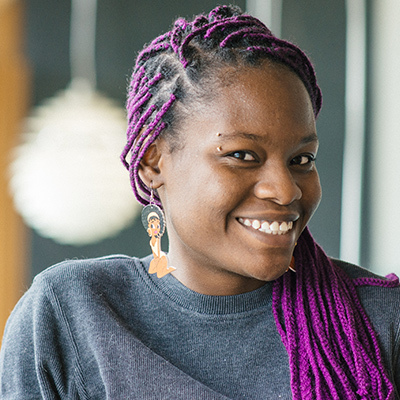 Tre dabbles in data science when taking a break from coding and designing. Tre is an alumni of Northwestern's McCormick School of Engineering. Kristen began working with OCEP in August of 2010. She currently serves as the Partnership Coordinator for the Northwestern University - Evanston Township High School (ETHS) Partnership Office. 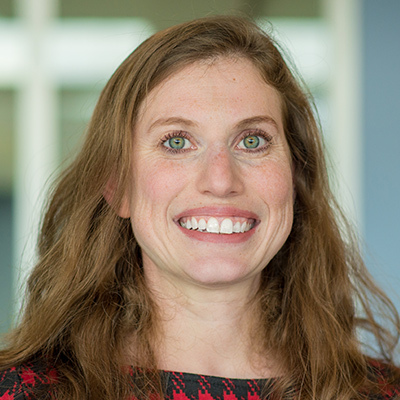 Kristen focuses on increasing collaboration between ETHS and Northwestern University, as well as bringing new learning opportunities to the students. Kristen previously worked as a science teacher at Roberto Clemente High School in Chicago. She graduated from Purdue University in 2003 with a Bachelor of Science in Biology Education. Emily has been a part of the OCEP team since December 2012. She is currently the resident scientist and program director of the Baxter Center for Science Education (BCSE), an OCEP program in partnership with Baxter International, Inc. and Lindblom Math and Science Academy (LMSA) in Chicago Public Schools. Emily helps create teacher professional development workshops and curriculum resources, making them available for middle and high school teachers in the Chicago area. 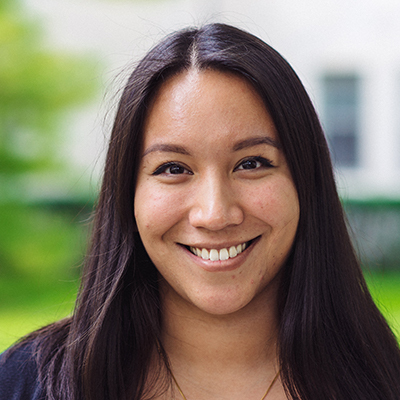 She splits her time between Northwestern University's Evanston Campus and LMSA in Chicago. 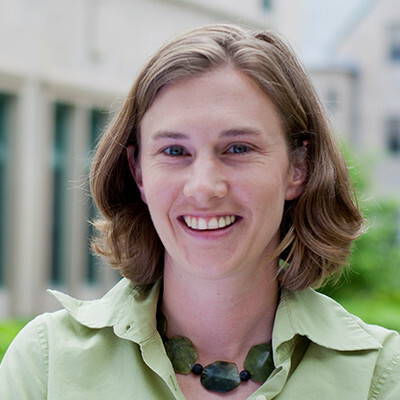 Emily earned a Bachelor of Science from Marlboro College and a Ph.D. from Dartmouth College. Lila K. S. Goldstein, M.P.P. 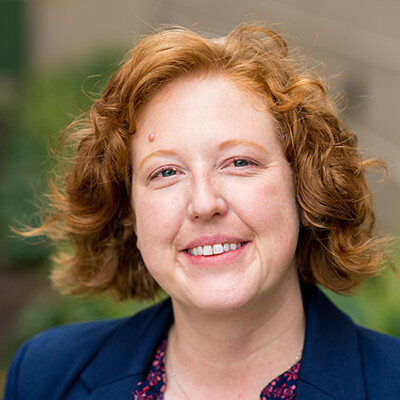 Lila joined OCEP in September 2017 with a passion for bringing education research, practice, and policy into alignment. She is leading the work with Northwestern-Evanston Education Research Alliance (NEERA) as the university builds its data and research partnership with the local school districts. She brings with her over a decade of experience in research and education. Most recently, she facilitated university led research and conducted practical, actionable research at the Tennessee Department of Education. She has a master's degree in education policy with a focus on quantitative methods from Vanderbilt University. 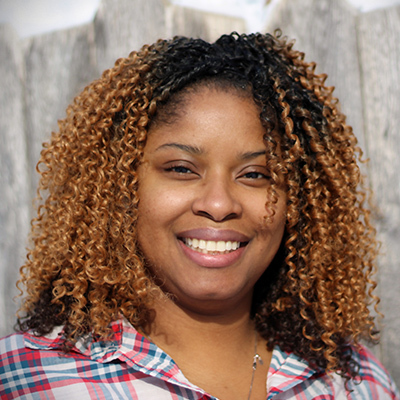 Mighel Jackson is an Implementation Coordinator and Systems Integration Specialist at OCEP's Digital Youth Network. In this role, Mighel translates complex systems into action on the ground by creating, facilitating and maintaining spaces that promote greater understanding of how technical solutions can be integrated most effectively into internal initiatives and external partnerships. As an extension of helping partners understand our systems, Mighel is also responsible for coordinating the maintenance activities of our technical systems including the Chicago City of Learning and iRemix platforms. 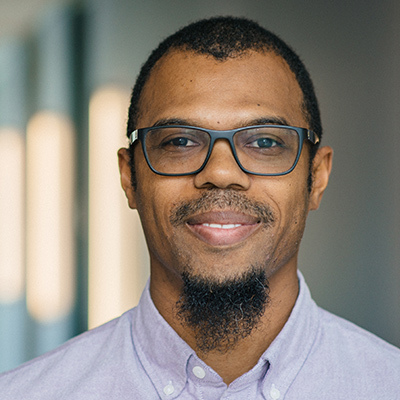 Mighel previously worked as a civil engineer in both the public and private sector specializing in capital project management, roadway design and storm water management prior to his current role with DYN. 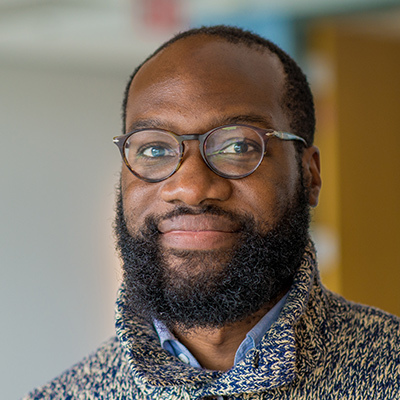 Mighel's professional career also includes positions in the non-profit sector with Eureka Communities, where he helped manage a professional peer-learning network, and the Center for Policy Alternatives in Washington, D.C.
Jenny joined OCEP in March 2017, as the program assistant for the NU/ETHS Partnership Office. Before coming to OCEP, she worked with a non-profit arts organization in a variety of roles. Jenny has a B.A. in English from Lewis University. 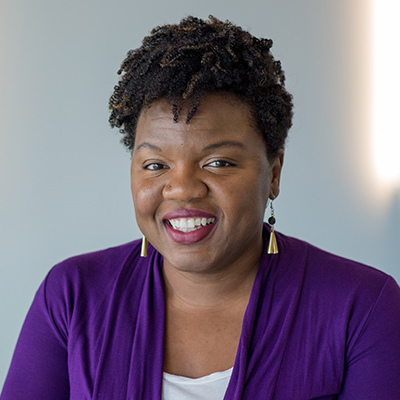 Sybil Madison-Boyd is a Research Associate at Northwestern University's School of Education and Social Policy, as well as the Director of the Chicago City of Learning initiative for the Digital Youth Network. Her work addresses barriers to equitable educational outcomes for urban youth through systems change and innovative reform. For the past 20 years, this work has been in partnership with school district administrators, principals, teachers, social workers, and youth, as well as with government and civic institutions and leaders. 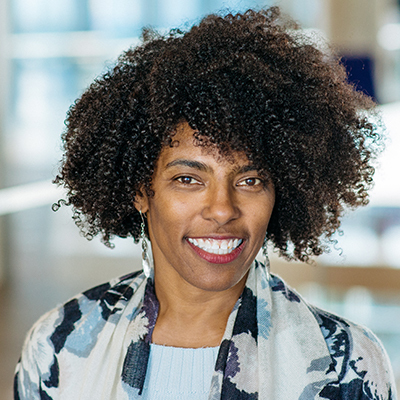 Dr. Madison-Boyd received her Bachelor's degree in Psychology, with honors, from the University of North Carolina at Chapel Hill and her doctorate in Clinical Psychology, with a focus on Community Psychology, from the University of California at Berkeley. Shai is a Mentor at OCEP's Digital Youth Network. Shai primarily focuses on implementation of various programs including Digital Youth Divas and the City of Learning mobile van. Shai is a Chicago native and studied at the Rochester Institute of Technology. Karina joined the OCEP team in 2017 as a former CPS professional high school counselor. She is the coordinator and advisor for Project Excite high school program, a college access and success program that works with highly motivated first generation, under-represented students at Evanston Township High School (ETHS) apply to four year universities. Karina creates programming that enhances ETHS's academic and post-secondary curriculum. She provides individual support and workshops around leadership development, self-regulatory learning, and college planning. She manages a tutoring program that hires Northwestern undergraduate students to tutor and mentor Project Excite Scholars. Karina is also very passionate about educating and supporting families through the college admission process. Karina has a Master's Degree in Education, Human Services, and Counseling from DePaul University. 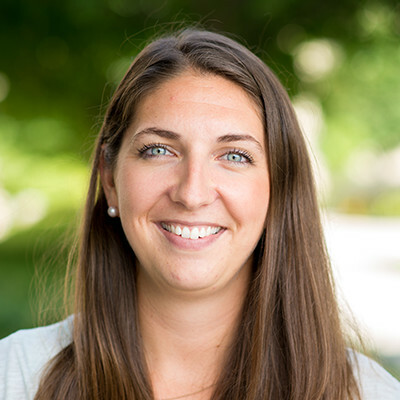 Love Morgan serves a dual role for OCEP as administrator of the Northwestern University PreK-20+ Engagement Initiative and research/data coordinator for the Chicago Public School, Northwestern University partnership. Previously, Love was a statistician for NCI, INC where she performed in-depth evaluation and analysis of potential fraud cases and requests for information using claims information and other sources of data. Love helped in the development of complex cases that involved high dollar amounts, sensitive issues, recoupment of overpayment, and administrative action based on reactive and proactive data analysis. Prior to her career with NCI, Inc., Love worked for Charles River Laboratories (on the University of Chicago Campus) as a part of their Insourcing Solutions program for seven years. Love started out as an Animal Care Technician and left the company as an Assistant Facility Supervisor. Love received her Bachelor's Degree in Biology from Rockford University where she was a two-sport athlete (Basketball and Softball). Love was also a member of the Jane Addams Center for Civic Engagement (JACCE) for two years. Love received her Master's Degree in Applied Statistics from DePaul University. Ashley joined the OCEP team in February of 2014. She currently works for the Baxter Center for Science Education (BCSE), an OCEP program in partnership with Baxter International Inc. and Lindblom Math and Science Academy (LMSA) in Chicago Public Schools. Ashley helps create professional development workshops and curriculum resources, making them available for middle and high school teachers in the Chicago area. She splits her time between Northwestern University's Evanston Campus and LMSA. Ashley has both a master's and bachelor's degree from Purdue University. Sachin began working at OCEP in May of 2013. 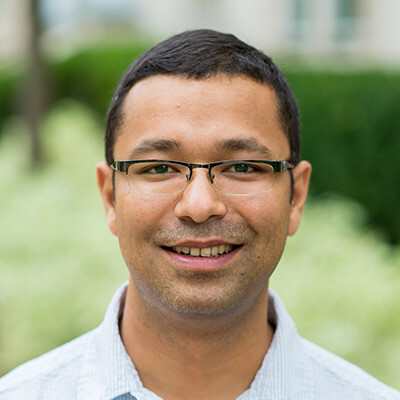 Sachin works as a software developer for the Baxter Center for Science Education (BCSE) and the Computational Thinking in STEM (CT-STEM) projects. He earned a Bachelor of Science degree in Computer Engineering from the University of Washington in 2006.